Microbusiness for Teens is a program for young entrepreneurs. Written by Carol Topp, CPA, this three-book curriculum is specifically written for students aged 10 to 18. It provided realistic instruction for teens who wish to begin their own business, providing support to nearly any potential business model, from a relatively informal babysitting service to a detailed storefront. There are three e-books in the curriculum. Starting a Micro Business and Running a Micro Business ($9.95 print version, $4.95 e-book each) are the texts for the program. The Micro Business for Teens Workbook ($14.95 print, $9.95 e-book) provides a great frame for putting "I'd love to be able to..." thoughts into a concrete business plan. Luke has been working with the e-book program for several weeks now, and it has provided him with a great deal of insight into running our current small business, and later for starting his own solo business. As the fourth generation to be part of the Falciani farm supply business, providing packing supplies to local farmers, Luke has always been part of the microbusiness world. However, the only "nepotism" at the warehouse is there is always a job sweeping and shoveling truck dock platforms. Neal started sweeping platforms in middle school, and over the past 25 years has worked his way up from sweeper, earning his place as the design, sales, and delivery manager -- there was no "He's the owner's kid so he starts at the top" going on there! 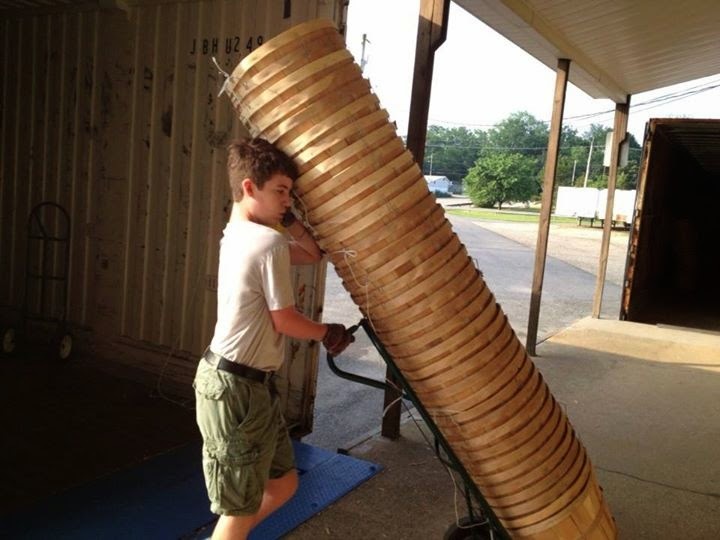 Our kids have been helping out since they were about seven or eight, helping sweep and shovel the empty dock platforms, and last year at 15, Luke finally moved up the corporate ladder to do truck unloading and groundskeeping (in addition to the never-ending sweeping and shoveling). I think it's really important for all of the kids to help with running the family business. It shows them that a successful business doesn't just happen -- it takes a lot of work, and all of the work is important. While not as "exciting" as getting to go out to farms and deliver boxes, the seemingly menial sweeping and lawn mowing that provides a safe work environment is equally important. 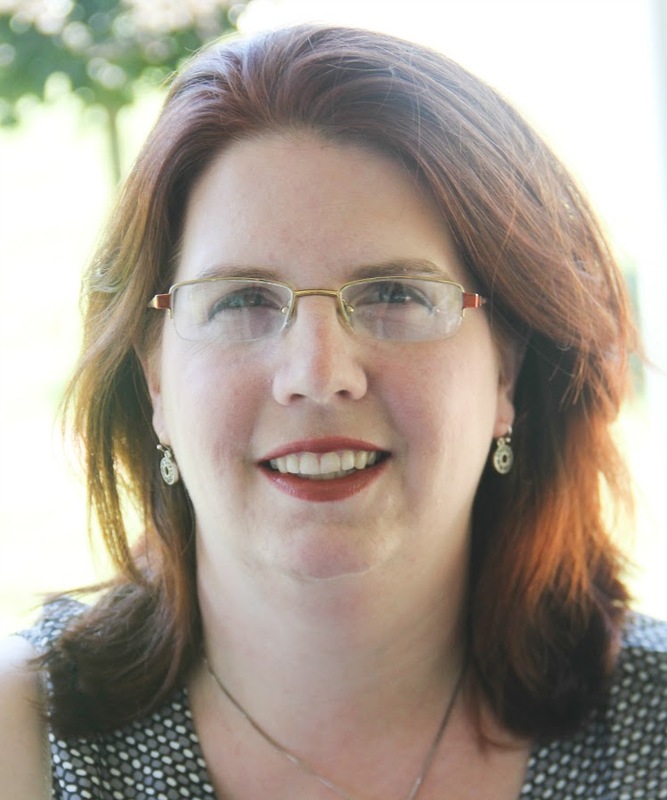 While homeschoolers aren't beholden to the New Jersey high school diploma course requirements, it makes sense for us to try to follow them reasonably closely, given Luke's first choice of colleges is a competitive college here in New Jersey. One of the great things about homeschooling, though, is that while we are looking to include the 21st Century Careers course requirement in his education, homeschooling gives us incredible flexibility in how we actually do this. 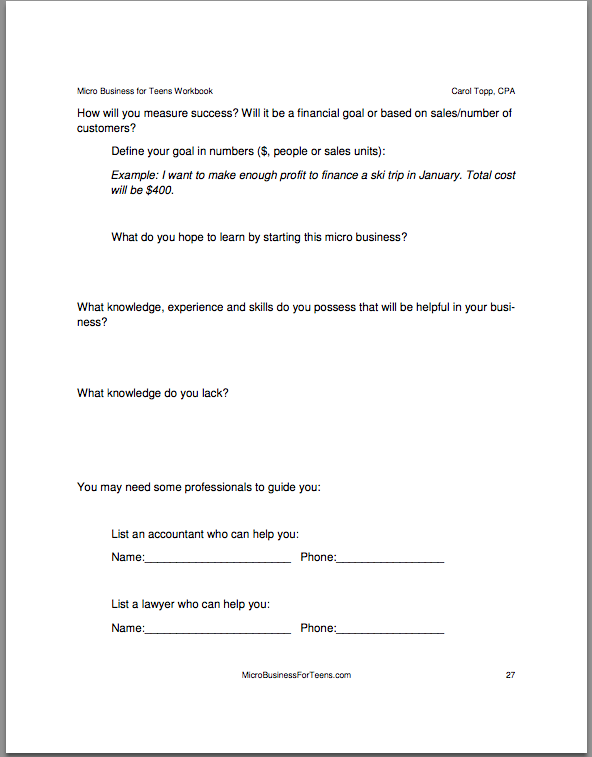 We created an independent study-style course where Luke was learning "immersion style" how a small business runs. 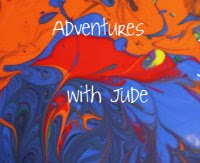 Last summer, Luke and I went into business together when I became a independent consultant for a direct sales company. The start-up costs were minimal, and the business itself very flexible. Between working with the two businesses, Luke was learning a great deal of information about running a business. However, since hair accessories aren't his first love, and it looks like he's got a good 30 or 40 years before his father and grandfather retire, if he wants his own business, he's going to have to branch out on his own. 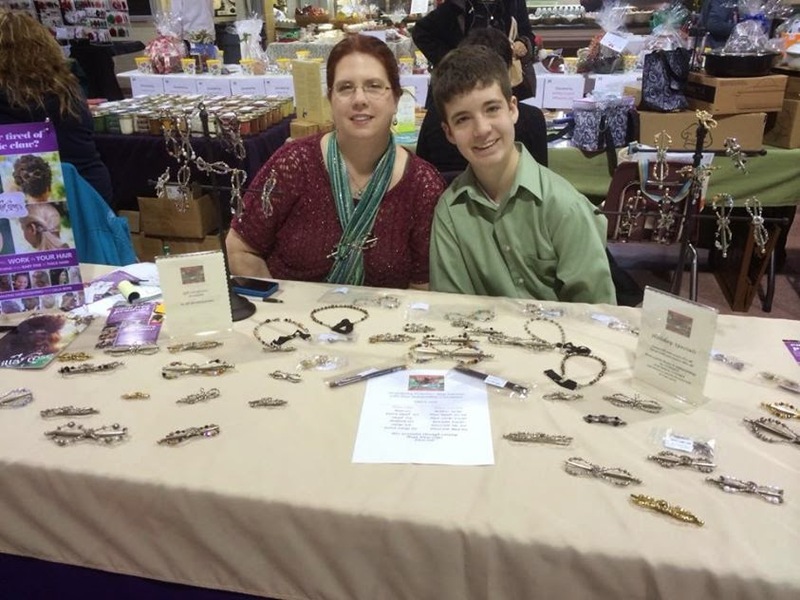 Microbusiness for Teens has been a fantastic way for him to learn about starting a business. This program starts long before you "start your business." The first chapters are dedicated to just brainstorming -- what interests you? What do you want from a business? Do you want to make money quickly, or are you happy to break even financially in exchange for building up your reputation? What are your strengths? Who do you think can help you be successful? It also points out that starting a business is work. Ms. Topp asks you to be realistic. What are your weaknesses? What are the pitfalls with the business you want to start -- from product perception to costs? What is your solution to some of these problems? What will you do if there are problems? Many people go into business seeing the potential gains, and often don't stop to consider adverse events. This program well prepares the young entrepreneur for the often bumpy road to success. This program contains 14 chapters, and suggests you work at the rate of one each week. At first, I didn't think that there was going to be a week's worth of work for each chapter. For the student who is just looking to "get it over with," then yes, it's going to seem a bit light. If you just haphazardly write ideas for a business, it's not going to take long to complete the units. For the student who seriously contemplates starting his own business, then a week is almost not enough time to seriously consider all of the angles. 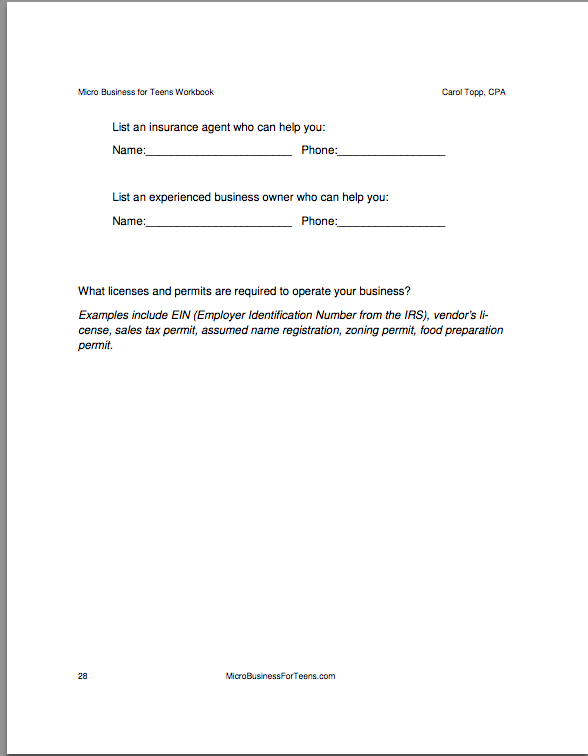 When you start a business, you need to write a business plan. Chapter 4 of Microbusiness for Teens took Luke two full weeks to complete, because it is incredibly detailed. When Luke and I began the direct sales business together, we didn't need to consider much beyond "Can we afford to launch this, and do we have the time to dedicate to making it a success?" One of the great things about the business is that so much is already created for you, down to even not needing a logo to put on business cards. However, if you're starting a business from nothing more than a concept for a product or service, it's going to need far more planning. The business plan modeled in the book starts with "what's your idea" and guides the student through pre-planning a business, from "Where will you get funding?" to "What are the laws about your business?" It also encourages you to find professionals and mentors to help you get started - a great idea for any new business owner! While it takes a "The sky's the limit!" innocence to get started, it's a good idea to have someone helping you be realistic about your business, and to help you avoid pitfalls. Luke also realized that it makes sense to have maybe more than one mentor. His dream business is to be a figure skating coach. While he plans to continue to learn from his grandfather, a successful businessman who has actually run several microbusinesses, he also thinks it would be beneficial to have one of his coaches mentor him as well, because that business is very, very different from the farm supply one. Once the student has created his business plan, Microbusiness for Teens continues on with helping him consider how he will get the business off the ground. From the obvious "funding" to the seemingly minor business card design, the curriculum walks you through starting step by step. This is where taking the time to really consider your business plan, and research the prompts provided, comes into play. During the business plan preparation, the student is prompted to learn what laws govern the type of business he wants to create. Let's assume that the student wants to create a landscaping business. In New Jersey, state law requires all vehicles used for commercial transportation to have the company name and municipality written on it. That's important to know, and should have been noted in the "legal details" section of the business plan. Then, the plan helps you set a budget for both start up and operating expenses. Eventually, the program prompts the student to design a logo to be used for advertising (website, flyers, business cards). If the student chooses to begin a business that requires dedicated transport vehicles, it makes sense to create a logo that meets legal requirements but also serves as advertising for your brand. Several years ago, Neal's business purchased a new truck, which then needed the name put on the side to be in compliance. At that time, Neal and my father-in-law decided they wanted a distinct logo, rather than just slapping the name on. Neal created a logo that has since been used across the board - on their boxes to identify them as the distributor, on their business cards and bills, and yes, on the trucks. However, it took several weeks to create a logo that would fit the legal specifications, be aesthetically pleasing, and still be economical to use in all of the applications. The program helps you consider everything within context and in sequence, so that you don't create a beautiful graphic that is easily printed on paper but is either inappropriate for on the vehicle or that you simply can't afford to have printed. Going into the design, you know your legal and budget requirements. I think this is a very good program for students who wish to become small business owners -- it will definitely prepare them for the realities of starting a business. It also is good for students who are taking the course as a purely academic exercise, because they see all of the "behind the scenes" mechanics of running a business (why prices are set where they are, details like having the proper insurance, and that the name on your electrician's truck isn't just an advertising expense he's passing into his hourly charge to gouge you.) Luke's career goal is to become an independent contractor skating coach. While he's writing his business plan, he's continuing to work in the other businesses to earn both his training fees and his startup capital. 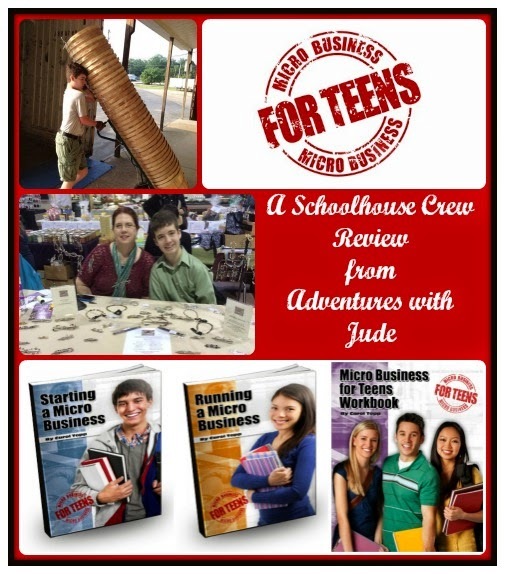 Microbusiness for Teens will definitely prepare him for becoming a small business owner. I really enjoyed reading about how careful Luke was going though the material. It certainly can take 2 weeks or more to write up a business plan, if you do it well! You should be very proud of him. He can take many of the skills he learns working for his dad and grandfather and apply them in later life. Good thing to have his coach as a mentor too.